EARN UP TO 3% to 4% Big Commission Rate or ABOUT 100K++ COM IN ONE SALE!!!! NO EXPERIENCE REQUIRED! START ASAP!!!! Part Time / Full Time Real Estate Agent Hiring Jobs Philippines in the South (Laguna, Cavite, Batangas, Alabang) And Also in Metro Manila Areas. 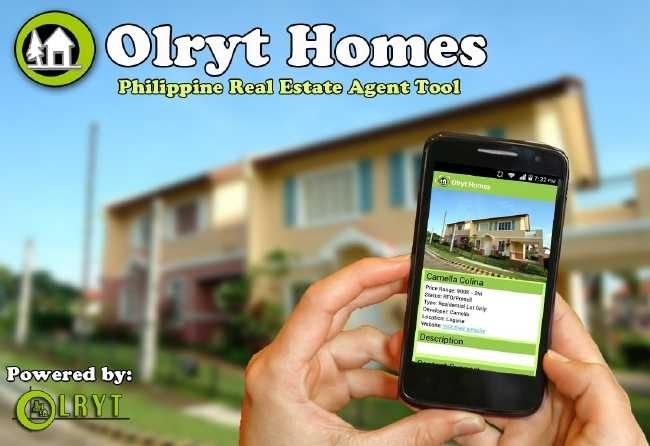 Olryt Marketing and Management Inc is now expanding in Nationwide in the Philippines, We just Started at Metro Manila. We would like to invite new real estate agents or salepersons to join and be connected with us. NOW EXPANDING in ANTIPOLO and Nearby Areas! Sattelite OFfice is Now Open! Hurry! Be a Pioneer in your Area! Earn Big! Dream Big! Take Action! We are building teams and OLRYT branches to be headed by LICENSED BROKERS. We will provide trainings for each LICENSED BROKERS and new agents to set-up their team on their location where we will have our constant communication thru on-line, regular meetings and seminars. We provide a very competitive commissions to each individual who joins us. Join now and get the edge in ONLINE Marketing! Earn up to 3.5% or even 5% commission on your first sale and more than 100,000+++ commissions! – you can create VERY effective REAL ESTATE advertisements without having knowledge in HTML, PHOTOSHOP and other SCARY computer programs! HURRY!! 40 Real Estate Agent Hiring Jobs Philippines Nationwide is Urgently needed now! Antipolo Job Hiring! No Experience Required, Start Asap! Work From Home! Freelance JOb!